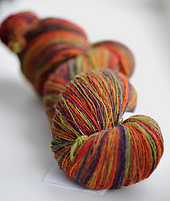 Skein weights vary. 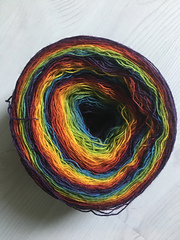 No recommended gauge nor needle size is given. 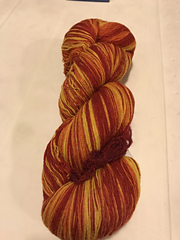 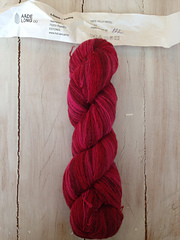 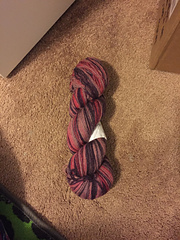 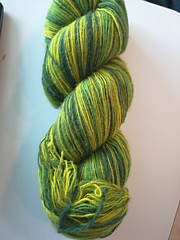 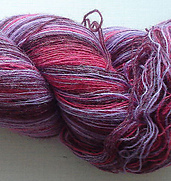 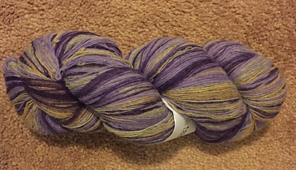 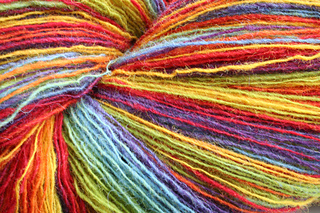 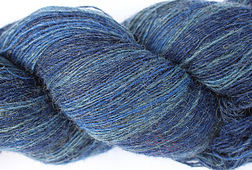 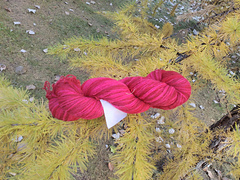 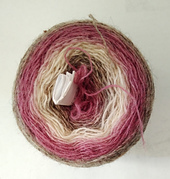 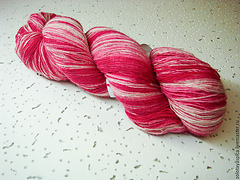 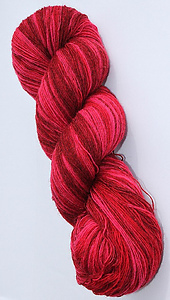 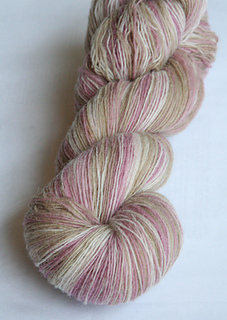 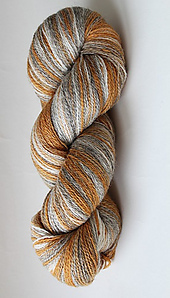 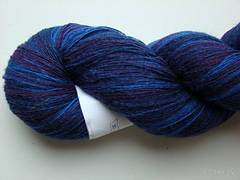 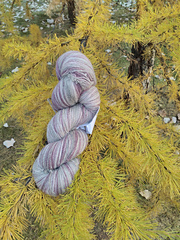 Very similar to 100% wool yarns sold under the brand Evilla.